Chelan County Volunteer Search and Rescue (CCVSAR) is a volunteer first responder organization, registered charity and 501(c)(3) non-profit. 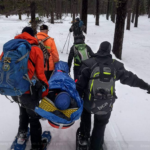 From our base of operations in Wenatchee, each year we respond to dozens of missing and injured person calls in the backcountry wilderness and recreational areas of central Washington. 1. Train for and respond to Search & Rescue emergencies; searching for the lost, and rescuing the injured in urban and wilderness locations. 2. Train for and respond to natural and man-made disasters to locate and rescue the injured, trapped and missing. 3. Conduct evacuation notification during wildfires. 4. 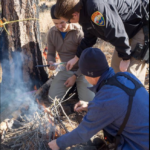 Educate the public about backcountry safety and emergency preparedness. Our 60 members volunteered 5,500 hours in 2017, saving taxpayers over $140,000. Our organization is entirely funded by grants and donations from the public. Without financial support from people like you we can not fulfill our mission. Please support CCVSAR with your donation today. Become a member and be part of our team! New volunteers are always welcome. We have full-time jobs elsewhere, and it is understood that we volunteer when available. The more people we have, the better coverage we’ll have for searches at all times of day or night! Take a little time to prepare before you go! Chelan County is home to world-class mountains and rivers, along with hundreds of miles of backcountry trails. Every year thousands of people from around the world visit for climbing, rafting, hiking, and backcountry recreation. Our basic SAR Academy starts April 10th.